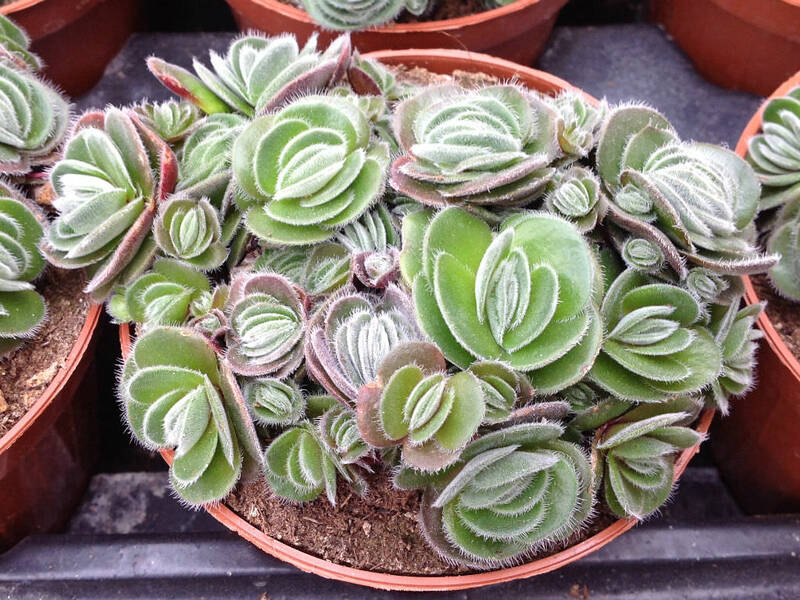 Crassula tomentosa is a perennial or biennial plant up to 2 feet (60 cm) tall when flowering. 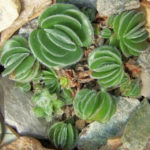 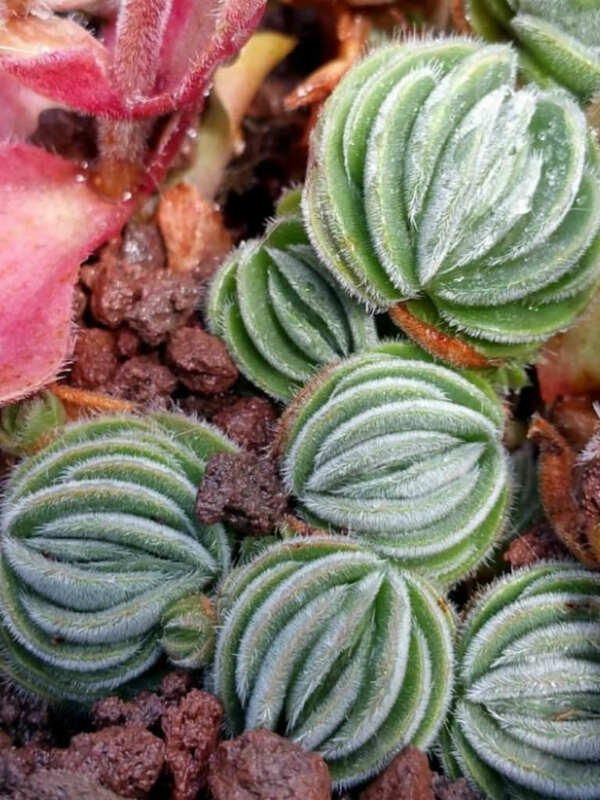 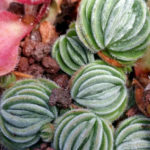 It grows slowly and in one to few, compact rosettes of grayish green leaves with tiny white hairs at the rims. 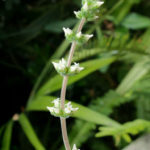 The leaves are variable in shape, up to 4 inches (10 cm) long and up to 1 inch (2.5 cm) wide. 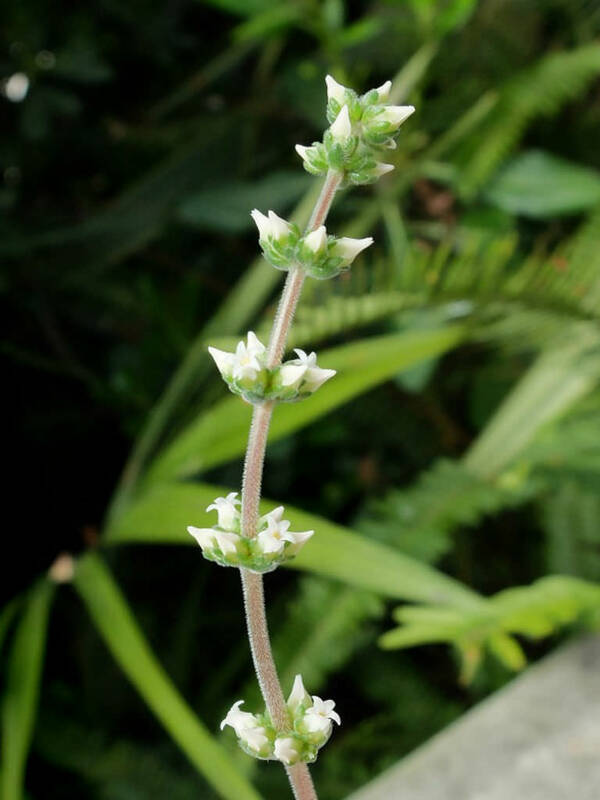 In early to mid-summer it produces white to yellowish flowers on erect, robust, tapering upwards, up to 2 feet (60 cm) tall flower stem. 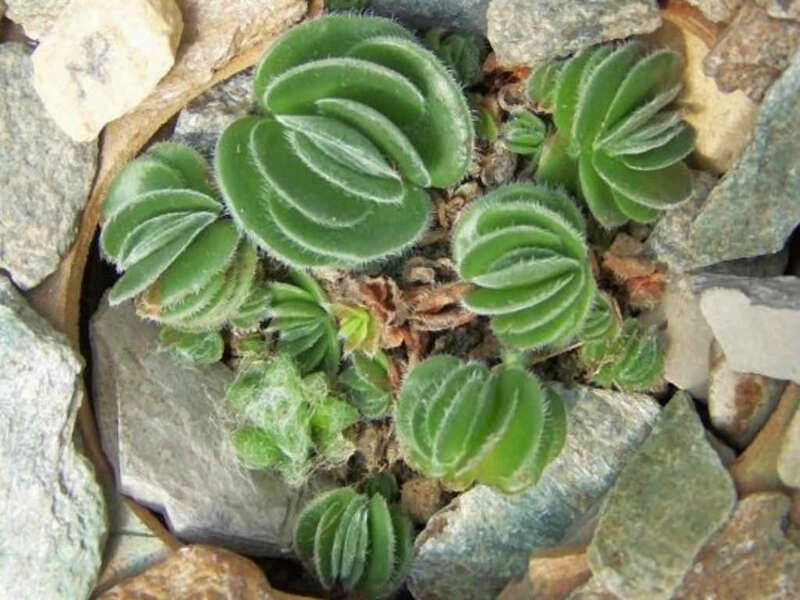 Native to southern Namibia and South Africa.